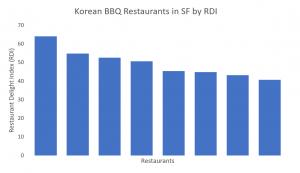 With the power of the RDI we have confidently determined that the best Korean BBQ in San Francisco today is Han Il Kwan (and it wasn’t even close). Han Il Kwan scored a 64 on our restaurant delight index with Jang Soo BBQ coming in second with a score of 55. Maybe not to native San Franciscoans (San Franciscans?) but it was definitely surprising to us how vastly different the Korean BBQ scene in San Francisco is compared to that in Los Angeles. Especially considering how San Francisco is the second most densely populated city in the US (behind the Big Apple), I assumed it would have a relatively strong Korean BBQ scene. 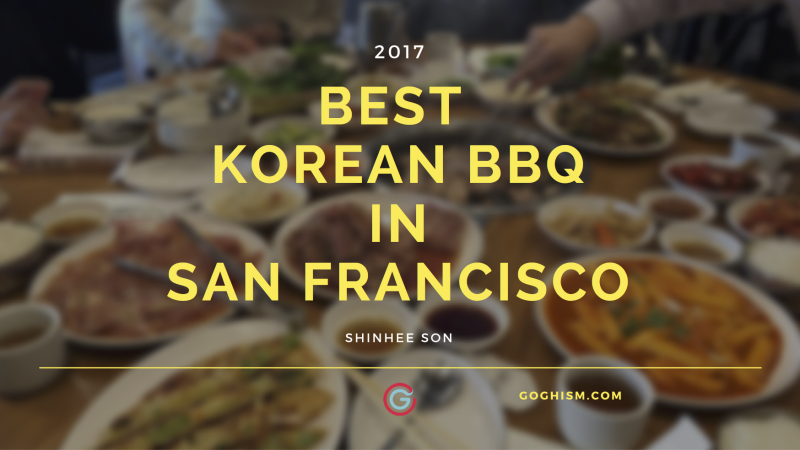 By comparison, Los Angeles has roughly 48 Korean BBQ restaurants with San Francisco limping in with a lowly eight. So if you are in the Bay Area and need to satisfy your Korean BBQ fix, lower your expectations. Not all is lost as there are a couple spots worth feasting on some pork belly or kalbi. Head west on Geary Blvd away from the financial district, once past Japantown you’ll begin to see the signs for Korean BBQ. It might be a good idea to burn off some calories in Golden Gate Park, which is only a few blocks away. Your best bet for Korean BBQ in San Francisco is Han Il Kwan. 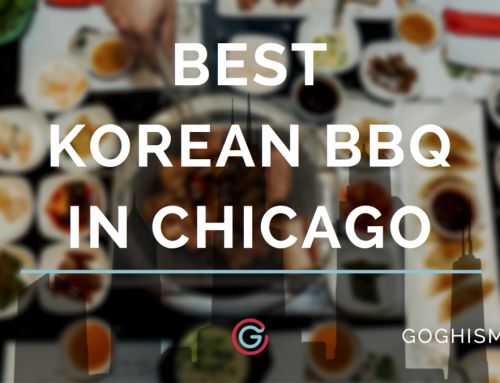 They do several things well resulting in a memorable Korean BBQ experience. The meat quality is more often than not fantastic with generous portion sizes to match. The marinade on the kalbi (beef short ribs) is better than most in SF and their bulgogi is delicious, explains why it’s ordered so frequently. One burgeoning, somewhat controversial trend at some Korean BBQ places is not serving complimentary rice; Korean BBQ without rice is alright, but who orders a hot dog and bun separately. Thankfully, Han Il Kwan still goes traditional, bringing out white rice, a massive steamed egg souffle, or tofu soup all complimentary. To top it off, they have sikhye (a sweet rice drink), which clears your palette and balances out all the meat you just ate. Their banchan (side dish) game is on point here too. They normally come out fresh and plentiful, resulting in a beautiful spread, if that’s your kind of thing. What they don’t get right is the smell control. It’s a double-edged sword; you walk in and are immediately enveloped by the goodness that Korean BBQ brings, but you also take it with you on your walk out. Parking in San Francisco is generally terrible, with Han Il Kwan not being an exception — Uber or Lyft if you can. During peak times you’ll be waiting at least 45 minutes. As great as it is for Han Il Kwan’s business to have a steady stream of Korean tourists coming in droves from tour buses, it’s not great for you if it happens during your wait. Finally, don’t expect service to cater to your every need, it can get chaotic and service takes a hit when it does. Overall, Han Il Kwan’s pros heavily outweigh their cons, and you’ll be hard pressed to find better in San Francisco. Otherwise, it wouldn’t have scored a 64 on our RDI. Jang Soo BBQ comes in as the second best Korean BBQ joint in San Francisco. One unique aspect that differentiates them from the rest of the Korean BBQ restaurants in the pack is that a lot of their vegetables for their pastes, kimchi, and soups are grown themselves. A lot of their recipes and techniques were also passed down from the owners’ grandmother, preserving the authenticity of their Korean BBQ experience. They also utilize an increasingly rare grilling set up. Similar to more traditional Korean and Japanese grilling they use charcoal open flames, imbuing a much smokier and deeper flavor. It may present some different challenges throughout the grilling process, but if you enjoy that earthier flavor profile come check them out. The quality of the meat is good, with marinades that shy away from the oftentimes too sickly sweet that many other Korean BBQ spots use. One aspect weighing down Jang Soo BBQ’s score is their side dish game. You won’t be wowed by their banchan as they serve an average number of side dishes with smaller portion sizes. Just like many other popular Korean BBQ restaurants in San Franciso, it’ll be hit or miss on the service and parking. I recommend getting a ride and lowering your expectations on service. When the food is good, but the reviews still suffer, it’s generally the service and waiting times that are the culprits. Lastly, be warned that the Korean BBQ smell will haunt you on your way out; unless you opt for the more pedestrian asking them to cook your meat in the kitchen. 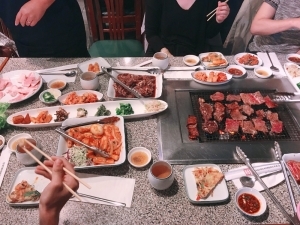 A total of eight Korean BBQ restaurants in SF were reviewed, and of those six met our criteria of having more than 264 reviews and passed the Fakespot fake reviews test. Based on this distribution, you can see how far ahead of the pack Han Il Kwan is. As I’ve iterated in other posts, it takes a lot to influence these scores as negative reviews will cancel out the positive ones. You truly have to create a positive, memorable experience. 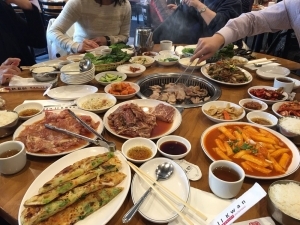 Because of how far Han Il Kwan is above the rest of the Korean BBQ restaurants in San Francisco, we can be confident it will be your best bet for 2017.